Titanium black DLC and satin-finished surfaces. Retrograde fluidic hours. 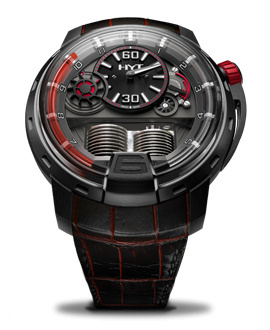 48.8mm,100M water resistant. 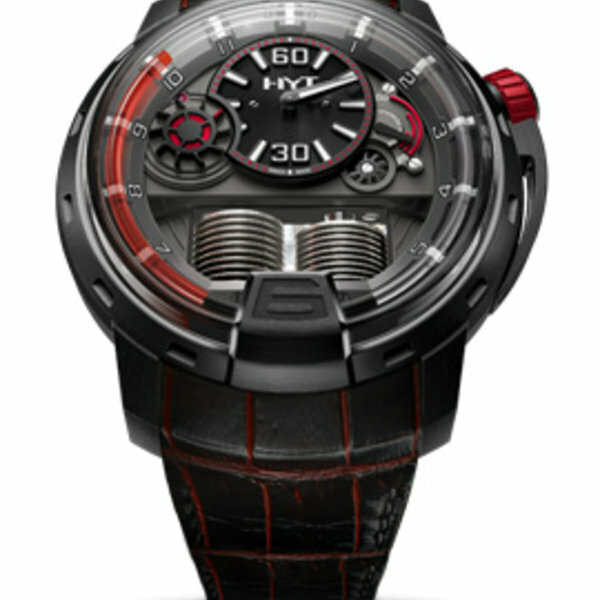 Hand-wound movement exclusive HYT calibre 28,800 VPH, 65-hours power reserve.